1. Isaac is a dancing fool. If you put on his jam (If You’re Happy and You Know It) be prepared to laugh so hard you think you’ll pee your pants. It’s that funny. 2. I found a rock in the kids’ laundry hamper this week… and a Lego… and a puzzle piece. 3. Only 2 of our 4 hens are laying. I am seriously debating on making some fresh fried chicken. 4. 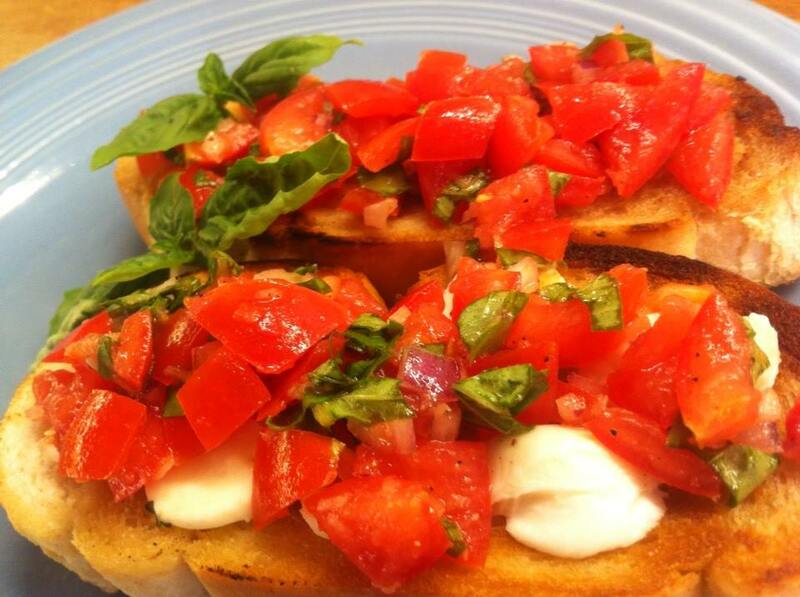 So I made this ridiculously awesome bruschetta the other day. I’ll just leave this picture up here for your viewing pleasure. Don’t worry, I will post the recipe next week! 5. Week 3 of the Wellness Challenge has proven to be a difficult one. Due to weather conditions… and other conditions that don’t need to be discussed on this blog… I’ve had a ridiculously tough time staying motivated. Any tips?